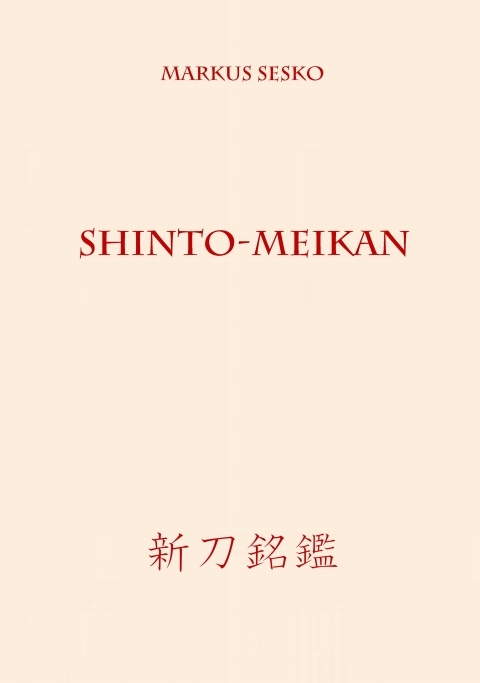 Now the SHINTO-MEIKAN follows, arranged to a 456 pages hardcover book in the format 8.25″ wide x 10.75″ tall. It is a classic meikan format book with pictures of about 1,300 tangs of about 640 shinto smiths. A list of all featured smiths can be found as PDF below (the “double-entries” refer to different smiths/generations with the same name). The price is 79.90 USD for the hardcover copy and 34.90 USD for the eBook. A SHINSHINTO-MEIKAN will follow soon.